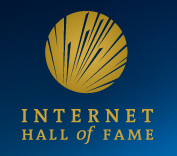 [Washington, D.C. and Geneva, Switzerland – 23 April 2012] – The names of the inaugural Internet Hall of Fame inductees were announced today at the Internet Society’s Global INET 2012 conference in Geneva, Switzerland. Internet pioneers and luminaries from around the world gathered at the conference to mark the Internet Society’s 20th anniversary, and attend an Awards Gala to honor the following 2012 inductees. In conjunction with the announcement, the Internet Society has launched a website at www.internethalloffame.org that will showcase the inductees and their contributions on an ongoing basis. The website, which includes inductee photographs and biographies, will feature an exclusive interview series authored by Wired. Highlighting multiple inductees each month in Q&A interviews, the first interview will feature Internet Hall of Fame Pioneer Vint Cerf. The Internet Hall of Fame is an annual awards program that has been established by the Internet Society to publicly recognize a distinguished and select group of leaders and luminaries who have made significant contributions to the development and advancement of the global Internet. More information on the program can be found at www.internethalloffame.org.